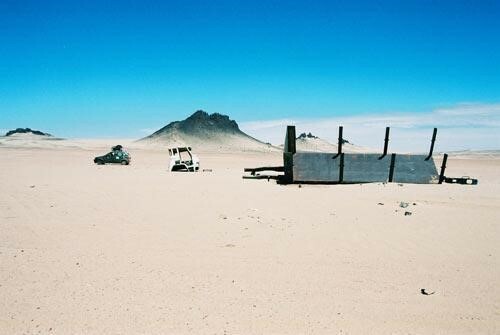 According to Algerian security sources, an ambush set by the Mauritanian army along the border with Algeria narrowly missed killing a number of high-profile members of al-Qaeda in the Islamic Maghreb (AQIM) (al-Jazeera, July 25, 2009). The Mauritanians launched the operation after receiving intelligence information suggesting AQIM operatives were present in Mauritania’s eastern desert, preparing new attacks to divert pressure on AQIM fighters in northern Mali and Niger. Mali is in the midst of an offensive using Tuareg and Arab militias against the AQIM presence in Mali’s difficult northern desert. Among those in the AQIM force who escaped the ambush near the Algerian border were the so-called “Amir of the Sahara,” Yahya Jouadi (a.k.a. Yahya Abu Ammar), AQIM’s chief qadi (judge) in Algeria, Abelrahman al-Tantaghi (a.k.a. Abu Anas al-Mauritani), and three other senior members, including two Mauritanians and a Moroccan. Two Islamist militants believed to be AQIM operatives were arrested in Nouakchott on July 17, following a shoot-out with security forces. State security chief Mohamed Lemine Ould Ahmed said the pair had come from Mali and were responsible for the June 23 murder of American citizen Christopher Leggett, who ran a computer and language school in the Mauritanian capital (Le Mali en Ligne, July 2, 2009; AFP, July 18, 2009). AQIM claimed responsibility for the murder. The remaining two members of the four-man cell, Didi Ould Bezeid and Mohamed Abdallahi Ould Hmeimed, were arrested in the following days (AFP, July 25, 2009). Mauritania, Mali and Algeria have agreed on greater military cooperation to deal with AQIM, which exploits national borders and hostile terrain to maintain their activities in the Saharan region. Following his victory in the July 18 presidential elections disputed by the opposition, General Mohamed Ould Abdelaziz vowed to renew efforts to eliminate terrorism in Mauritania. General Abdelaziz took power in an August 2008 coup, using the threat posed by terrorism as one of his main justifications for seizing power from a democratically elected president, Sidi Ould Cheikh Abdallahi. The General has pledged to increase the size and efficiency of the army but has also promised to address the causes of terrorism. “We need to fight terrorism in terms of security but also by improving the living conditions of the people and fighting ignorance” (BBC, July 20, 2009). This article first appeared in the July 30, 2009 issue of the Jamestown Foundation’s Terrorism Monitor. France’s growing involvement in Somalia suddenly drew attention when two French intelligence agents were kidnapped from a supposedly secure hotel in Mogadishu on July 14. The men, posing as journalists, were eating breakfast at Mogadishu’s Sahafi Hotel when gunmen wearing Somali government uniforms burst into the restaurant and seized them. The success of the operation and the absence of any resistance from security personnel led some to speculate it was an inside job. Among those arrested were a number of hotel staff and bodyguards belonging to the Minister of the Interior, Shaykh Abdulkadir Ali Omar. 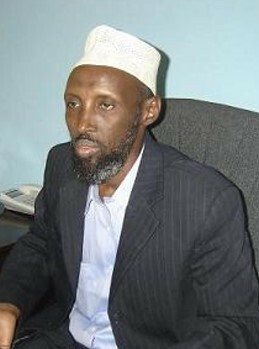 A former deputy chairman of the Islamic Courts Union (ICU) before the Ethiopian invasion of December 2006, and still a leader of his own militia, Abdulkadir’s appointment as Somalia’s new interior minister was controversial. Abdulkadir, however, is loyal to President and former ICU chairman Shaykh Sharif Shaykh Ahmad and served as the ICU’s operations commander during the Ethiopian invasion (Reuters, February 21). Shaykh Abdulkadir was wounded and his personal secretary was killed in a targeted IED explosion near Mogadishu’s Bakara market in March (Garowe Online, March 27). No one claimed responsibility for the assassination attempt. Abdulkadir’s bodyguards were accused of snatching the French agents before turning them over to Somali insurgents, but a government commission of inquiry said a few days later that they had found no evidence for the involvement of government officials (Horseed Media, July 21). The hotel, favored by Transitional Federal Government (TFG) officials, is located in an area tightly controlled by government troops and Ugandan and Burundian peacekeepers belonging to the African Union Mission in Somalia (AMISOM). Whether the abducted men were then turned over (or sold) to the Islamist Hizb al-Islam militia of Shaykh Hassan Dahir Aweys remains uncertain. Prime Minister Omar Abdirashid Ali Sharmarke maintains the two were abducted by Hizb al-Islam operatives (Shabelle Media Network, July 16). At some point during their transportation to a safe location, Hizb al-Islam’s al-Shabaab allies turned up and demanded custody of both prisoners. Hours of heated argument followed, with al-Shabaab eventually being persuaded to take only one of the pair (Shabelle Media Network, July 16; AFP, July 16). A Somali news site reported receiving information that the two men had been transported to Lower Shabelle in a convoy of battle wagons (armored pick-up trucks) where they were turned over to the forces of Shaykh Hassan Abdullah Hirsi al-Turki for concealment under heavy guard in the forests of the Juba region (AllPuntland, July 20). Al-Turki is an Islamist warlord who has close ties to al-Shabaab. By some accounts, the agents will be tried for spying under Islamic law, though senior commanders have said the penalty may be a “fine,” suggesting the insurgents are badly in need of funds as American military equipment continues to flow to the TFG (Midnimo.com, July 19). Eventually French officials admitted the two men were not journalists; the secretary-general of the Elysée Palace (office of the French president) declared that the men were provided by the Defense Ministry “under international authority, in the preparation of a security unit for the Somali president… They were the precursors of a training unit for the praetorian guard” (AFP, July 19). Earlier this month, France’s U.N. representative told the Security Council: “The training of Somali security forces is key to building the country’s military capacity.”  France started training an initial force of 150 TFG soldiers at the French military base in Djibouti this month, two months ahead of schedule (AFP, July 21). They are the first of a battalion of 500 men scheduled to receive military training. France has sought the participation of other European nations in training as part of a full-fledged mission under the European Security and Defense Policy (ESDP), but other European parties have expressed concern about whether the trained troops would remain loyal to the TFG after returning to Somalia (EuropeanVoice.com, May 20). Besides training TFG troops in Djibouti, the French military has made its presence felt in Somalia in other ways. A joint French-Spanish naval mission, “Atalante,” has been providing security against piracy in the Gulf of Aden since December 2008 and France has also provided military training to the Ugandan and Burundian troops of AMISOM, who are now battling al-Shabaab and Hizb al-Islam fighters in Mogadishu. The choice of the intelligence agents to disguise themselves as journalists has drawn condemnation from Somalia’s much-threatened journalist community. Eight Somali journalists have been murdered in the last two years and scores beaten or imprisoned. The Somalis fear such impersonations will only fuel the popular conception of journalists as agents of foreign powers. Niger Delta militants in speedboats launched a devastating attack on Nigeria’s rapidly decaying energy infrastructure on July 13 by seizing and destroying a major oil distribution point in Lagos, a city of 16 million people. The assault was the first time militants from the Delta region have struck Nigeria’s largest city. An assault group from the Movement for the Emancipation of the Niger Delta (MEND) struck the Atlas Cove Jetty during the night, killing a number of sailors guarding the facility before driving away the rest. Dynamite charges were placed on ten pipelines at the terminal and the resulting explosion was heard throughout the city. The attackers returned to base without apparent intervention from the Joint Task Force (JTF), a hybrid security force detailed with eliminating the insurgency in the oil-rich Delta. The attack came only hours before the release of imprisoned MEND leader Henry Okah under a new Nigerian amnesty program. Two days after the assault a MEND spokesman said the operation was carried out by only “18 experienced commandos” in two speedboats (Daily Trust [Abuja], July 15). Resistance from the guards was dispelled by several bursts from heavy caliber machine guns, according to MEND. Damage to the Atlas Cove terminal was reported to be heavy. Because Nigeria’s inland refineries are not running due to a lack of crude supplies as a result of pipeline attacks, the oil-rich nation is dependent on imported refined fuel. The Lagos facility handles 35% of Nigeria’s refined oil imports (AFP, July 14). 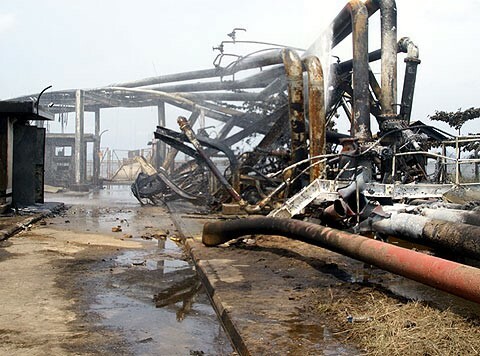 MEND destroyed a recently repaired Chevron pipeline for the second time only days before the Lagos attack (AFP, July 10). A rival Niger Delta movement, the Ijaw Youth Campaign for Peace (IYPC), condemned the attack and followed up on a threat to “forward names of those involved to the Federal Government” by naming fugitive militant leader and tribal chief Government Ekpemupolo (a.k.a. Tompolo) as the man behind the Lagos attack (Daily Trust, July 15). Another Ijaw group, the Warri Ijaw Peace Monitoring Group (WIPMG), denied Tompolo had anything to do with the attack and described the IYCP as “saboteurs” set on destroying the peace process in the region (The Nation [Lagos], July 15). Tompolo, who is wanted in connection with the disappearance of 16 Nigerian servicemen, narrowly escaped capture when his base, known as “Camp 5,” was struck by a land and air assault coordinated by the JTF. The defenses of the sophisticated base, complete with barracks, armory and a modern mansion for Tompolo’s use, were entirely designed to repel an attack coming from the waterways, the customary transportation routes in the roadless Delta (Vanguard [Lagos], May 29). There are suggestions that Tompolo was working a protection racket to fund his luxurious lifestyle by working as a “security advisor” to various foreign oil firms (Nigerian Tribune, June 1). Lagos state Governor Babatunde Fashola denounced the attack on the Lagos oil terminal, pointing out that Lagos State had hosted numerous displaced people from the Niger Delta while experiencing its own struggle for development funds after the national capital moved to Abuja. “We have provided succour and accommodation for the displaced people of the Niger Delta as a result of the agitation… Is Lagos not also a victim of years of neglect? Is this an agitation without limits? Is a friendly and host state fair game? …I want to think that what has happened is a mistake and it will never be repeated” (PANA Online [Dakar], July 16; Daily Sun [Lagos], July 16). The Niger Delta militants, who seek a greater share of Nigeria’s oil revenues, have succeeded in cutting down Nigeria’s monthly oil revenues to $1 billion per month, compared to $2.2 billion in 2008 (AFP, July 13). A statement from MEND claims that “While the government is talking about amnesty on one hand, the JTF on the other is still carrying out a punitive scorched earth policy on communities around oil facilities as a way of permanently relocating the people from their ancestral homes and turning the area into an oil mining area” (234next.com, July 21). Despite the arrest on April 23 of a man identified by Iraqi authorities as Abu Omar al-Husayni al-Baghdadi, the elusive leader of the “Islamic State of Iraq” (ISI), audio messages keep emerging from an unseen individual who identifies himself as the authentic Abu Omar al-Husayni (or al-Qurayshi) al-Baghdadi. There are several theories regarding the identification of the mysterious commander of the ISI, an organization closely connected to al-Qaeda in Iraq since its establishment was announced on October 15, 2006. Al-Baghdadi has little use for Iraq’s leading Sunni politicians. While the newly elected speaker of parliament, Ayad al-Samarrai (a Sunni Arab and member of al-Tawafuq [Accord Party], the largest Sunni alliance in Iraq’s parliament) praised the U.S. pullback as proof the political process was the best option, the ISI leader insists al-Tawafuq has played “the ugliest role in the history of any agent group that betrays its religion and its country so far,” through its participation in drafting a secular constitution. Tawafuq leader Harith al-Obeidi was assassinated outside a west Baghdad mosque on June 12 in what the Interior Ministry believes was an al-Qaeda operation. The gunman was reported to have either been killed by the mosque’s security guards or to have blown himself up with a grenade (Times, June 12). Al-Baghdadi goes on to describe Sunni Vice-President Tariq al-Hashimi (former leader of the Iraqi Islamic Party and a potential presidential candidate) as a “criminal” responsible for forming and supporting the anti-al-Qaeda Awakening Councils. Al-Hashimi resigned as secretary-general of the Islamic Party in early June amidst speculation he had been named as an al-Qaeda collaborator during the interrogation of the individual who Iraqi authorities claim is the real Abu Omar al-Baghdadi (Al-Sharq al-Awsat, May 30). Al-Hashimi describes the allegations as a “tempest in a teapot” and responds: “This is not the first time, and perhaps not the last, that the Iraqi Islamic Party is unfairly accused of links to Al-Qaeda. In this regard, I do not free from blame those who are lying to their people and promoting allegations, the falseness of which they are the first ones to know. I feel sorry for their political reputation, because lies will soon be revealed and because Iraqi citizens remember well al-Baghdadi’s statements and his threats to bring woe and affliction upon the members of the Iraqi Islamic Party” (Al-Sharq al-Awsat, June 4). A number of other Iraqis have been arrested as a result of the “confessions” of the imprisoned man the state says is al-Baghdadi, including Abdul Jabbar Ibrahim, a leading Sunni politician, who now stands accused of terrorism. America used to be impartial until World War II, during which it enjoyed security, safety, and development. Once this nation started to lose impartiality and interfere in the affairs of others, it began to lose everything for the sake of a gang of arms and oil dealers who led an entire nation like slaves to destructive wars as a fuel for their endless greed. Today, on behalf of my brothers in Iraq, Afghanistan, Somalia, and Chechnya, I propose to you what is good for you and for us; namely, to return to impartiality, withdraw your troops and go home, and not to interfere in the affairs of our countries directly or indirectly. We promise that we will not stop the trading of oil or other commodities with you, provided that justice is achieved, and provided the prices are not cheap (al-Furqan, November 7, 2008). Apparently disappointed with the president’s failure to accept his invitation to “return” to Islam, al-Baghdadi has since described the president as “a hireling who apostatized from his religion [Islam]” (al-Furqan, May 30). The ISI leader is critical of other mujahideen groups active in Iraq, mocking them as “phony names for groups visualized in the imagination of those who created them… These names, phony or real, were then blessed by the new leaders in a plan to overlook the Islamic State of Iraq under the pretext that it only represents 10 percent of jihad forces, and that it has no political program… according to their fabrications, [the ISI] is socially outcast as if it came from outer space.” Al-Baghdadi rebukes those who suggest the ISI has no political program; “Is lifting the banner of secularism in the name of democracy and the call for the return of the Ba’ath Party a political program while the Islamic State is not?… The time of patriotism, nationalism and Ba’athism has ended for good, along with its advocates, God willing. We believe that this is the time of the holders of the banner which says there is no god but God [i.e. the monotheist Salafists of the ISI]” (al-Furqan, July 7). The statement accuses the Badr Corps, the Mahdi Army and the Da’wah Party of Prime Minister Nuri al-Maliki of forming a “rejectionist [i.e. Shiite] tripartite” ruling group in Baghdad that was “raised in the embrace” of Ayatollah Khomeini and has “unprecedented aggression and hate toward anything that is Sunni or Arab” (al-Baghdadi here ignores the fact virtually all Iraq’s Shiites are Arabs). He alleges the Iraqi Shiites (a majority in Iraq) are using all the “tricks and cunning methods the Persians are famous for throughout their history,” including the utilization of democracy as a means of establishing a Shiite state in Iraq. Al-Baghdadi accuses the “dogs of the Awakening Council” of collaborating in this project (al-Furqan, July 7). Although Catholicism has traditionally rejected Zionism as a literal interpretation of symbolic texts, al-Baghdadi suggests the Roman Catholic Church has lately been infiltrated by Zionists, thus explaining the timing of Pope Benedict’s trip to Israel at a time when that nation is ruled by a “fanatical right-wing government” and his outreach to the Jews while ignoring the suffering of the Muslim and Christian Palestinians. Both Christians and Jews believe the establishment of the state of Israel and the return of the Jews to Palestine are the first step in ushering in the return of their Saviour, according to al-Baghdadi, who accuses the Jews of building a tunnel beneath the Dome of the Rock and al-Aqsa mosque that leads to halls inside the Temple Mount where Jews can pray as “they wait to move to the top floors” when the Islamic holy sites have been destroyed, allowing the reconstruction of the Jewish temple. According to the ISI leader, Christians and Jews “have disagreed on many things, even on the God that they worship, but they do not disagree on the sanctity of Jerusalem, the return of the Messiah to it, their animosity to Muslims, or the necessity of annihilating them and rebuilding the temple… They are working hard to demolish al-Aqsa.” Al-Baghdadi warns that Muslims are coming from Khorasan [Central Asia], the Maghreb, Somalia and Yemen to foil these plans. The Pope’s call for peaceful coexistence between “the occupiers and the oppressed” demonstrated “his support for the [Zionist] entity’s existence and its right to our desecrated lands.” Al-Baghdadi threatens retaliation against the traditional Christians sects of the Middle East. A series of bombings targeted Christian churches earlier this month (AFP, July 13; Reuters, July 14). Who Is the Real Baghdadi? U.S. forces in Iraq have long maintained that al-Baghdadi was a fictitious character played by an actor named Abu Abdullah al-Naima, but later claimed the role of ISI leader had been filled by a real person after the police chief in Haditha claimed in May 2008 that interrogations of al-Qaeda suspects revealed al-Baghdadi was actually a former Haditha native named Hamed Dawood Muhammad Khalil al-Zawi, who had been dismissed from the security services for extremism (Al-Arabiya, May 7, 2008; CBS, May 7, 2008). On May 27, Iraqi security forces reported the arrest of a man they identified as “al-Baghdadi’s brother,” Zaydan Abd Ahmad al-Majmai (al-Sumaria TV, May 27). U.S. forces have never confirmed the arrest of al-Baghdadi, obviously sharing the same suspicions that cut across Iraqi society. Many members of Iraq’s parliament have expressed their doubts about the identity of the arrested suspect, noting that there have been numerous false reports in the past of al-Baghdadi’s arrest or death (Al-Sharq al-Awsat, April 30). Al-Baghdadi’s arrest was reported three times in one week alone in March 2007. According to the pan-Arab daily al-Hayat, voice analysts have confirmed the voice on the latest audiotapes is the same as the one that appeared on tapes for two years preceding the arrest of the man Iraqi authorities claim is al-Baghdadi (al-Hayat, May 28). Al-Hayat’s account included an interview with “a prominent Iraqi security source” who suggested authorities had arrested the wrong man: “Al-Baghdadi is a former Iraqi Army officer. 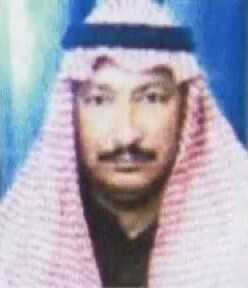 He served as a mosque imam in the Al-Hashimiyat region in al-Anbar before he joined the al-Qaeda organization in December 2005… the person who is being held prisoner by the Iraqi Government is Ahmad al-Ahmadi, a former member of the local council in Bahraz.” Various jihadi web forums presented their own versions of the arrest, including suggestions the arrest had been fabricated to attract foreign investment to Iraq, or claims that al-Baghdadi had been detained in Syria and handed over to Iraqi security forces. The individual claiming to be the true al-Baghdadi has rejected the arrest as a ruse designed to force him into the open; “The key purpose of their lie is to force me to appear, undisguised, in a video. This is a stupid trick that will not force me to do anything. I will appear to the whole world when I want to and when it benefits the mujahideen in the midst of the upcoming victory, God willing… the voice in my audiotapes belongs to me, not to a spokesperson who speaks on my behalf or others and without retouching or alterations (al-Furqan, May 30). As the controversy over al-Baghdadi’s alleged arrest continues, the latest audiotapes show a use of language, phrases and ideas based on a wide knowledge of history, political trends and intellectual concepts consistent with statements released before the arrest of the man Iraqi security forces claim is the real Baghdadi. This consistency and the content of the messages raise questions about the true identity of the ISI’s Amir. The audiotapes seem unlikely to be the work of a former low-level security officer or the imam of a local mosque. Baghdad has been unable so far to convince American security forces or even most Iraqis of the legitimacy of their claim to have arrested the real ISI commander. The recent surge in al-Qaeda bombings and assassinations suggests the group remains a dangerous security threat to a restructured Iraqi state, regardless of the real identity of the man giving confessions from an Iraqi prison.